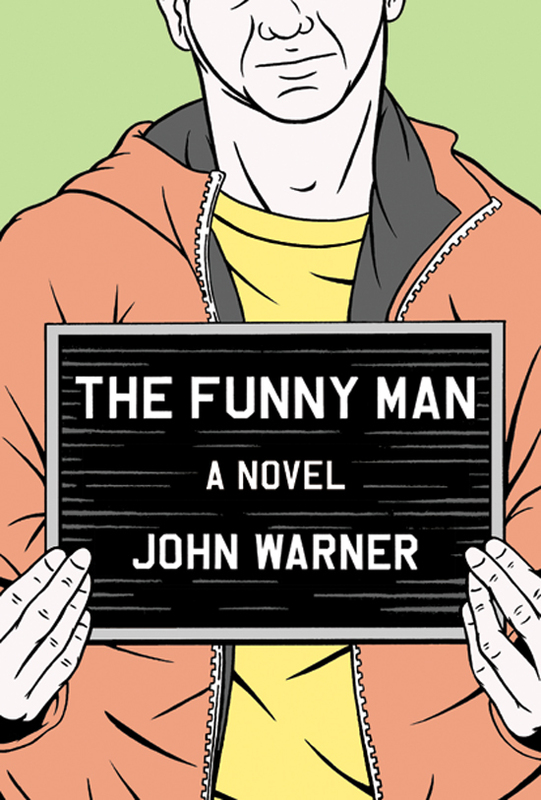 John Warner, a longtime editor for Dave Eggers's website, McSweeney's Internet Tendency and contributor to The Morning News, is the author of three humor books. He's now set to make his literary debut with The Funny Man (Soho Press), a tragicomic novel about a pedestrian comedian who rockets to unhappy success by performing with his fist in his mouth. Publishers Weekly has hailed it as an "equally sickening and humorous portrait of the celebrity as a delusional man." 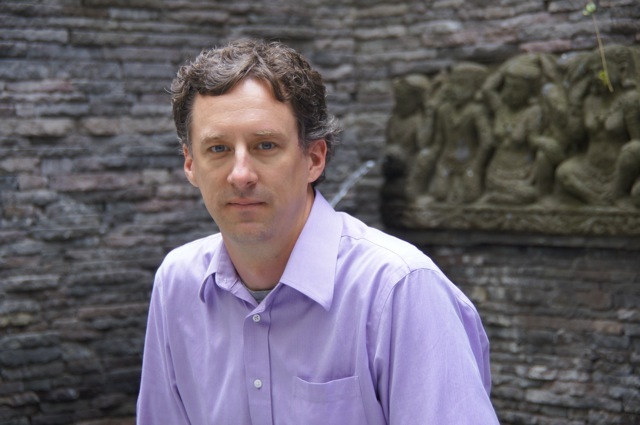 I spoke with Warner, who teaches at Clemson and was memorialized in an Onion article about baseball player Mike Mussina's attempts to get into McSweeney's, about the inspiration behind his novel, humor writing, and Tori Spelling's boxing skills. Where did you get the inspiration for The Funny Man? I went to a comedy club on a regular week night and watched 10 or 12 performers get up on stage one after another and experience varying degrees of success, including a couple that played mostly to silence and/or outright hostility of the "go f*ck yourself" variety, and I got real curious about the level of bravery and commitment it must take to do such a thing. I can't imagine anything more terrifying than standing on a stage and being tasked with making people laugh. Why would someone seek out that sort of abuse? It's a kind of confidence that I could only hope for. My career, such as it is, has been primarily oriented around trying to make people laugh, but as a writer only very, very rarely am I subjected to the results of those efforts. I get to pretend it's funny, even if a piece lands with all the force of a Tori Spelling right hook. At the same time, the act of getting up on stage alone to tell jokes also struck me as desperately needy; the kind of activity undertaken by a person that has a void can't be filled. That notion was interesting to me. As I got deeper into the project, I saw that it also synced up with some of my other concerns -- an interest in the American culture and how no matter what we have, materially and success-wise, it's never enough. Somewhere deep in my lizard brain, these things seemed to fit together: the comedian's insatiable need for attention and the unquenchable American thirst for more more more. That's either a symbol or a metaphor -- I can't remember which. Maybe it's both? I'd never written a novel before, and it seemed like those were some key ingredients. How did you get your start writing humor and editing for McSweeney's? My first inspiration for writing humor was actually McSweeney's, reading the early website and feeling a certain kinship with what I found there. I was writing then, but primarily ersatz Raymond Carver short fiction that was interesting to no one, including myself. The only topical humor I'd been aware of up to that time was Woody Allen's collected short works (which was not topical by the time I got to it) and the New Yorker's "Shouts & Murmurs" column. I held a very mistaken notion that good writing had to be "serious," and to see what I felt was good writing be simultaneously funny and also serious made me want to try it. Fairly quickly, it felt like finding shoes that fit after years of cramming your feet into wrong-sized loafers. That led to some work and an association with Modern Humorist, which was great, because writing humor began to feel "legit." These guys had a bank account and letterhead and everything. The first bursting of the Internet bubble claimed that experiment, but by that time, there was clearly proof of concept that people wanted to read short, humorous writings on the Internet. Taking over the editing of McSweeney's was a simple as Dave Eggers calling me and asking me if I wanted to help out with the website. At the time (2003), it was still updating irregularly and wasn't necessarily focused entirely on humor, and I asked him if he was cool with me steering it consistently in this one direction where I felt it was already heading. He gave me his blessing, and we began publishing daily, updating the lists weekly, and developing new (and now standby) bits like "Open Letters to People or Entities That Are Unlikely to Respond," "Reviews of New Food," and "Short Imagined Monologues" (the first of which was written by Steve Martin). Until 2008, I kept my hand on the helm, but a simultaneous desire to take more time to write and to expand the range of material the site publishes led me to hand the wheel over to Chris Monks. My proudest achievement is that no one ever noticed the transition -- that this thing I'd helped build actually "worked," provided someone was there to constantly read submissions, edit and polish accepted pieces, and generally juggle a thousand balls at a time. My second-proudest achievement is convincing Chris to take the job. In what ways do you feel your humor writing helps and hurts your fiction writing? My hunch is that you might see this similarly, but for me, the biggest way it helps is that with humor, you always need to keep the audience in sight, worrying if this material is hitting the target. This mindset doesn't allow for navel-gazing or flights of fancy that may be emotionally pleasing or cathartic to the author, but sow only confusion in the reader. Writing humor forces you to slaughter darlings on a daily basis, so you get used to not feeling particularly precious about your own genius. I also think writing humor forces you to always be aware of pacing, whether or not the thing is moving at an acceptable clip. This, though, is a bit of a double-edged sword. On the one hand, I'm really pleased with the speed of The Funny Man -- how quickly it "moves." On the other hand, as a reader, I often enjoy novels that feels like you're slowly being immersed in this very specific world, and I'd like to work on the ability to stretch things without boring the reader. How do you feel about the state of comic and satirical fiction in America now -- both the production and reception of it? In terms of reception, I sometimes worry when novels (including my own) are presented first as being "funny," because that seems to signal that it's only funny, and not something else as well. Plus, as you know, the worst thing for someone finding something funny is to tell them in advance that this thing is funny. I'm tempted to say we're in a renaissance for comic and satirical fiction, except that I believe comic and satirical fiction has been with us consistently since Tristram Shandy. Catch-22 is having its 50th anniversary. Kurt Vonnegut is still plenty popular. I would swap sales figures with A Confederacy of Dunces any time. I think it's impossible for irony to go out of fashion in this country since we were founded on an irony -- the notion that "all men were created equal" -- except that "all men" meant white guys with land and nice wigs. The American experiment is an exercise in falling short of our ideals, and when that inevitably happens, get ready for the "LOLs." The production of comic fiction seems strong and steady to me. In the past month, I've read two great funny novels, Kevin Wilson's The Family Fang and Francine Prose's My New American Life. The two most successful (critically and sales-wise) novels of last year, A Visit From the Goon Squad and Freedom, have plenty of funny parts. Just because we don't highlight those aspects of the books doesn't mean they aren't present.